When it comes to search engine optimization, it is important to remember that it is about so much more than simply ranking for keywords. Although keyword rankings can be beneficial, the main purpose of SEO is to make your website easier for potential customers to find. Many companies don’t realize the fact that SEO can actually be a great tool to enhance their brand. 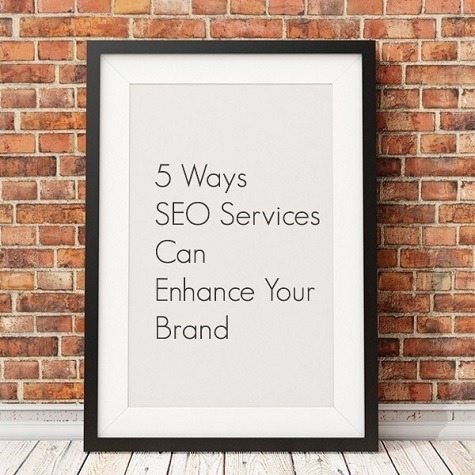 Below, we will share five ways Chicago SEO services company Design and Promote can help you use SEO to enhance your brand. Have you ever tried to carry a conversation with someone who doesn’t speak the same language? Although you might be able to use motions and gestures to get the idea across to them, the translation is not going to be perfect unless you are speaking their language. The same is true for search engines like Google and Bing. They want you to convey your brand image in their own language, which is schema. Utilizing brand logo schema is the most efficient way to give your brand image to search engines. The second way Chicago SEO services can enhance your brand is by helping you tweak your sitelinks. When you search for your brand on Google, your company’s site should be the very first result. Usually, a link to your site will appear at the top of the list with about six internal links called sitelinks underneath it. It is important to determine whether these are the top six internal links you would want customers to click on. If they aren’t, you have the ability to edit the sitelinks so those specific links will not show up. Once you do, Google will present a different combination of internal links. It is best to keep tweaking the sitelinks until you are satisfied with the links that are presented. Anytime your company does something online apart from on your own site, be sure to use brand image alt tagging. Including the branded text within the alt attribute helps ensure that when images come up, they are all images from your site and not images that other people or companies have posted. For example, when Target advertises somewhere online, they want to dominate the imagery so that images posted by other brands that include the word “target” do not appear. Using brand image alt tagging minimizes the chance for brand confusion. Another way Chicago SEO services can help you enhance your brand is by managing your local listings. When people search for your brand, local listings appear. Local listing management solutions can help you ensure that the information that appears in the listings is correct. Although this process seems simple, it is of utmost importance. You want to be sure that if customers are trying to connect with you, they have the accurate contact information. Therefore, be sure that your Chicago SEO services include local listing management solutions. Most companies know that using Google+ is helpful in terms of your brand’s Google search results. Google+ can also enhance your branded search results. They do this by syncing the connection between your brand and your Google+ page and portraying your brand in the Knowledge Graph. You can make this connection stronger by tagging the publisher in the site source code. These are just a few of the ways Chicago SEO services from Design and Promote can enhance your brand. Contact us today for more information about our services.